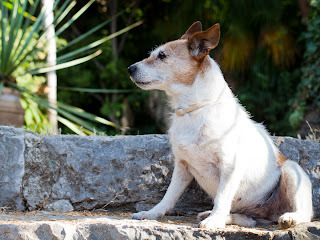 We've met Prickle before on Riviera dogs but that was four and a half years ago. 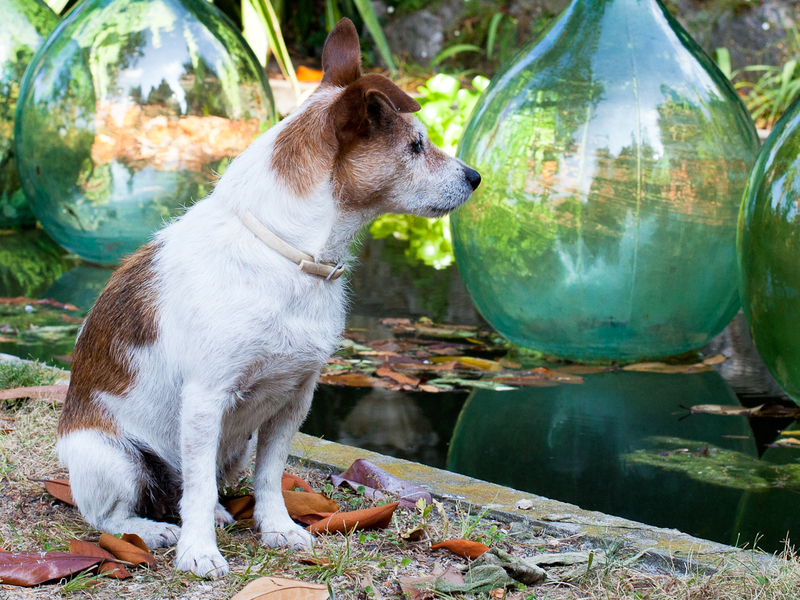 Prickle lives with her owner William at one of Menton's famous gardens, Le Clos du Peyronnet. 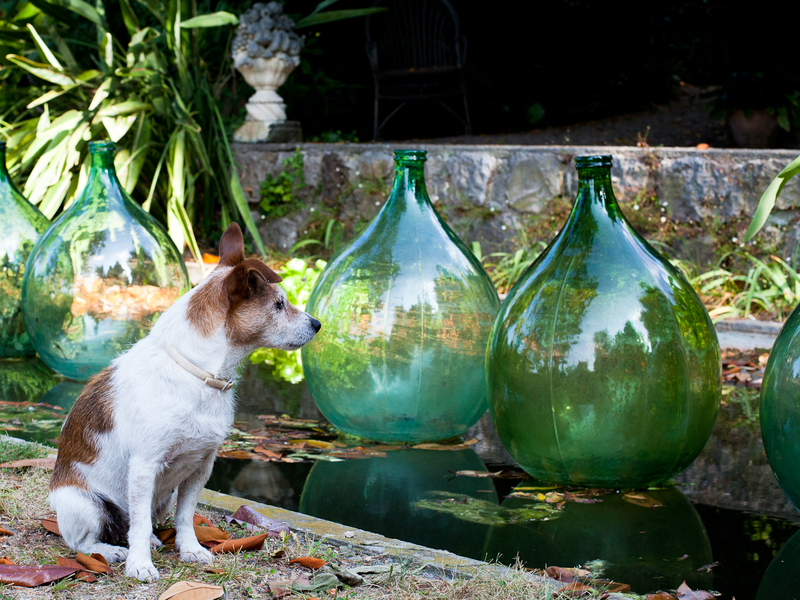 Here she poses near some of the beautiful old demijohns that appear to float on one of the pools in this magical garden. I love Jack Russells. One day I will have a dog. Mr P lives in a beautiful garden Jilly!! !